At ACS AUTOWERKS we offer a comprehensive detailing service taking your vehicle through various different stages to ensure it is at its absoulte best when it leaves our premises. 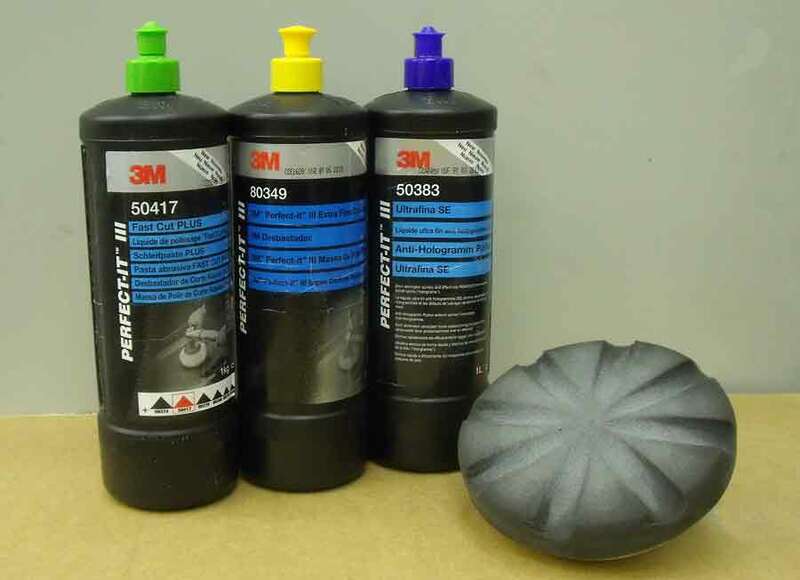 We have invested heavily in all the neccessary tools and consumables to do the job correctly, we use only top the range tools and 3M compounds to ensure a perfect finish. 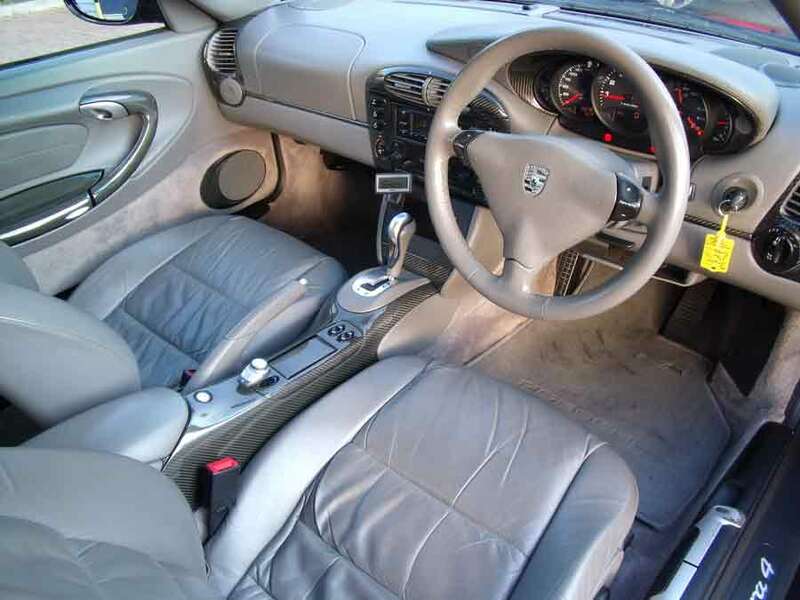 whether it be the paintwork looking dull or perhaps light surface scratches, or maybe the interior is looking worse for wear and needs a little more than a clean up! we can help. 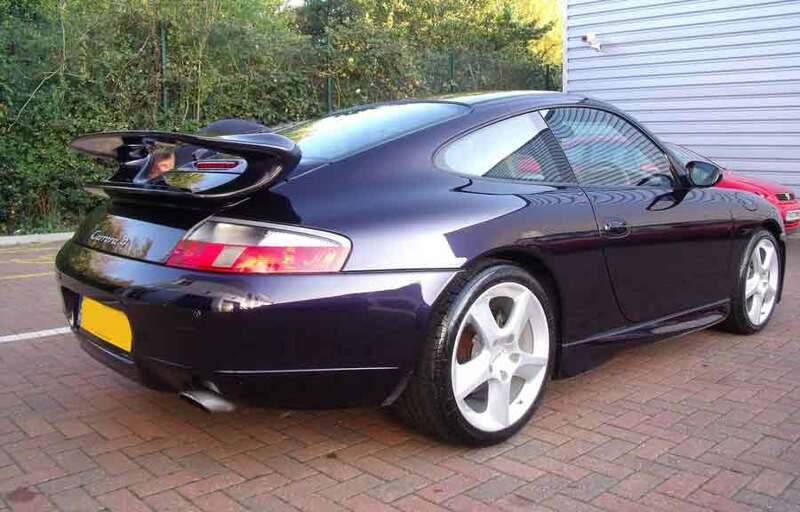 One of our long standing customers asked us to detail his Porsche as it needed to sell, the car was in very good condition inside and out with no body damage or interior problems. 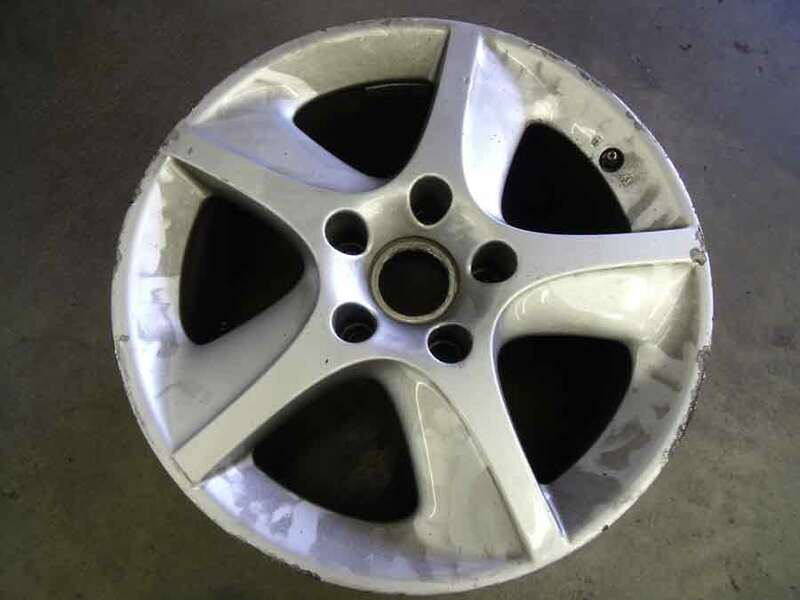 The wheels however had some major curb damage so these were also fully refurbished before the work began. 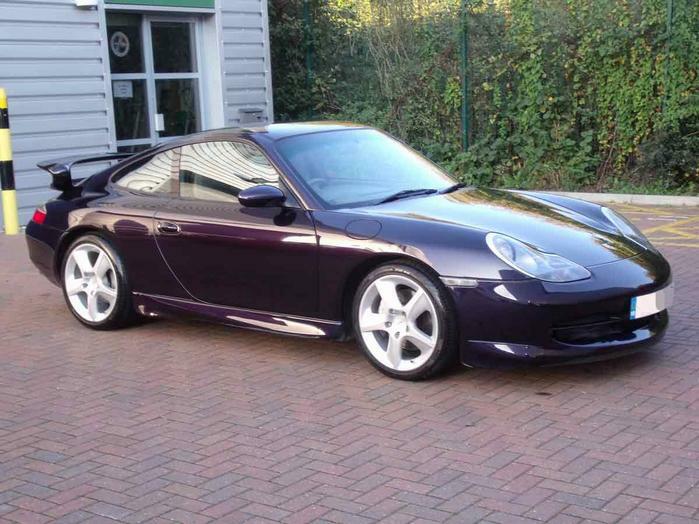 The paintwork was looking terribly sad for itself, the beautiful Techno Violet paintwork was not up to the level of that of a Porsche should be. there were a few surface scratches and a few scuffs on some panels that we knew with the right "know how" could be removed. Leaving the whole car with a long lasting factory new finish. As you can see in the picture below the front wing had some very light white abbrasions to the paint, this was the story for the majority of the panels around the car. 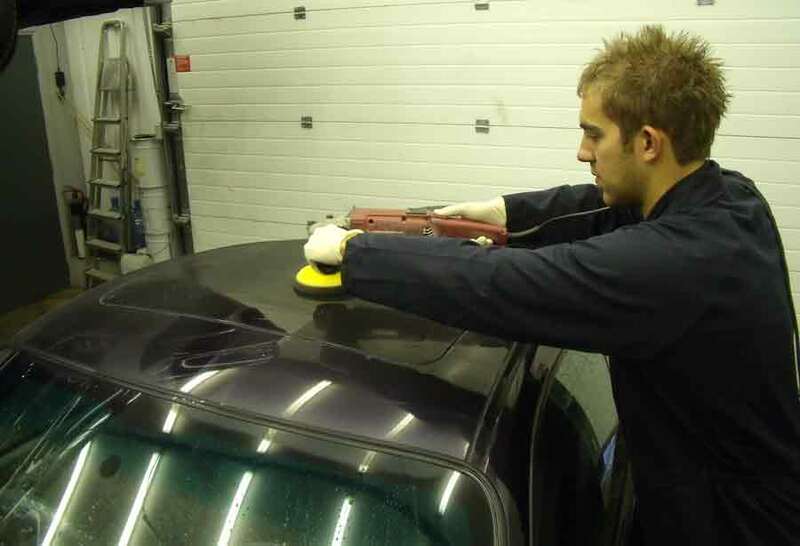 By locating the worst area of the bodywork we can perform our test pocess to determine how long the entire vehicle will take from start to finish. We use all the stages on one small area to asess how much work is required to complete the task. Next we began cutting the paint back slightly to remove as many of the deeper scratches and all the light suface scratches the car had aquired over its lifetime. 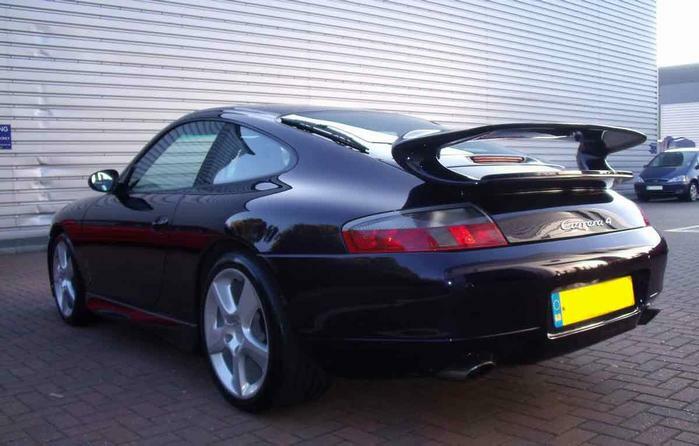 The whole car was done from top to bottom including the rear spoiler and roof. At all the stages of the cutting work we always go over all the panels twice to ensure every inch of the panel is worked on. This step actually leaves the paintwork looking duller than before with a slightly matt but very smooth appearance. 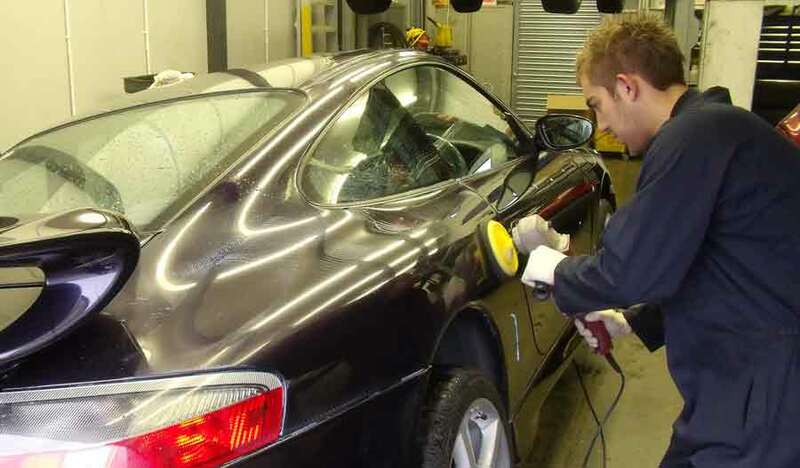 After each stage of preparation the car is taken back outside and fully steam cleaned again to ensure there is no polish, dirt or grit on the painted surfaces. The second level of preparation is again a cutting effect but a much lighter grade , the colour begins to come through and the majority of the scratches are now a distant memory. With the final machine preperation stage the paintwork is worked over with a final light cutting compound (anti hologram effect). 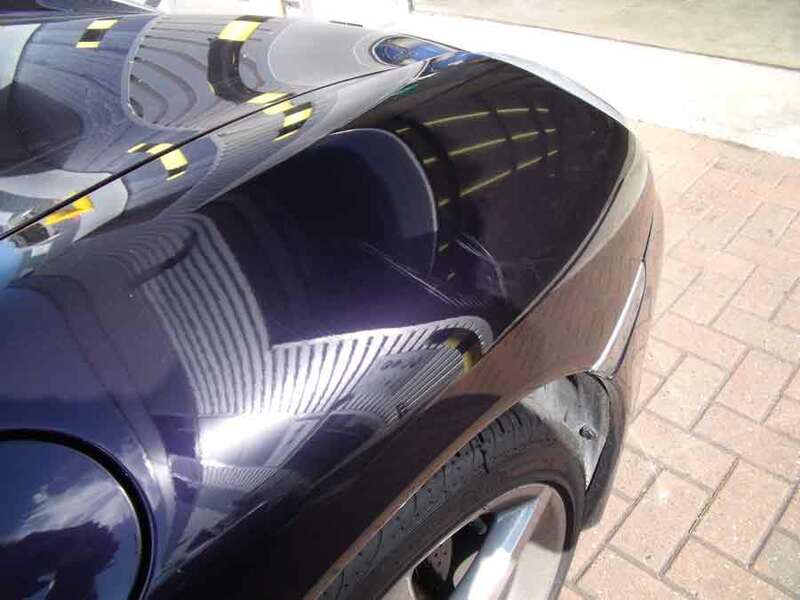 This removes the polished swirl marks you can often see on a car when the bodyshop has not done their job properly! Now the car is taken outside for its final steam clean, A chemical and steam clean ensure the car is totally free from any dirt and all cutting compunds are removed. all the door shuts, boot and bonnet areas are also cleaned to remove all the cutting compound residue. We also lift the ar up to clean underthe wheel arches and chassis areas. The vehicle is then air dried to remove water from hard to reach areas and then wiped down and left to dry naturally. Once completely dry the car can be brought in for the final process. With all the hard work now complete the car is ready for the final hand polish. 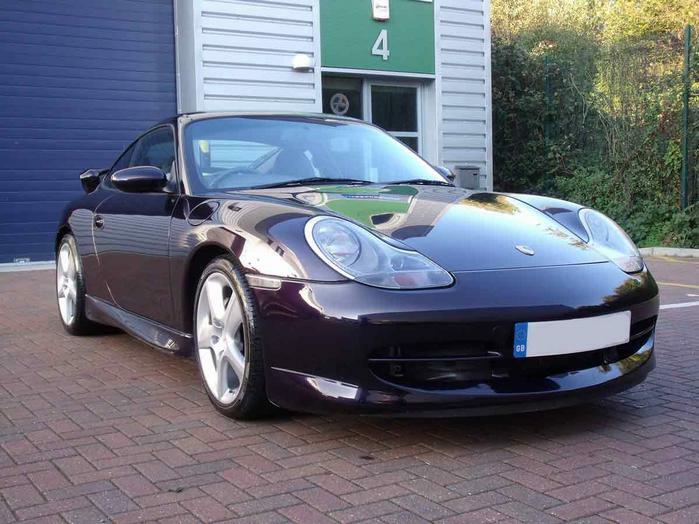 We only use top of the range Autoglym polish on cars that pass through our workshop and yours will be no exception. With the polish applied, removed and buffed the car begins to shine in all its glory. The windows are cleaned inside and out and the seats and carpet are shampooed. Finally leathr cream is rubbed in where necessary and the interior was re dressed as new. 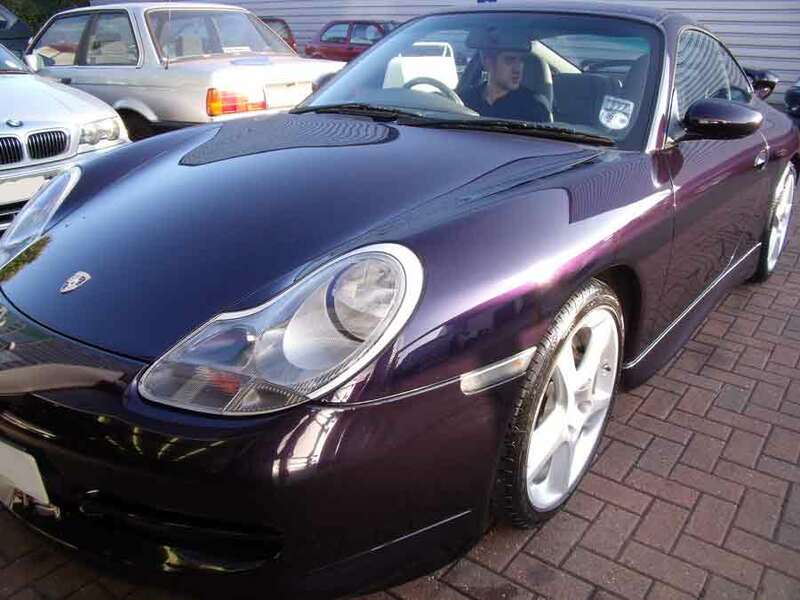 The final step for this Porsche was to give the entire car our two stage quality control check and the car was ready to go up for sale. Testiment to our hard work the car was sold within two weeks of advertising to the first person who came to see it !